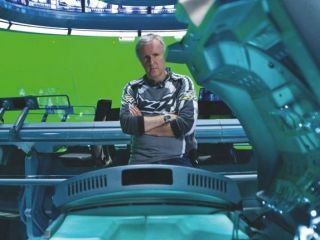 Says it will be "cost effective"
James Cameron has been flying the flag for 3D once again, pleading to TV producers that they should invest in 3D now. Speaking at a technology forum in Seoul, he explained the challenges filmmakers face in converting 2D content to 3D and noted that more should be done to shoot things in 3D first, saying: "[Companies] can't be afraid to shoot in 3D because tens of thousands of people all over the world are shooting in 3D every day. "We're going to have 3D TVs all around us... and we're going to need thousands of hours of sports, comedy and music and all kinds of entertainment." To remedy this, Cameron is hoping that TV producers forgo their concerns about money and focus on creating 3D content, explaining: "There's not going to be the time or the money to convert [2D to 3D]. It's going to have to be shot live. "We're going to learn how to do live shooting. The cost will come down on live 3D production. "You've got the channel, you've got the sets… the missing piece is content. You've got to get the content." Cameron is one of the few directors who can speak with confidence about 3D, considering his three-dimensional opus Avatar is officially the highest-grossing film of all time. Saying that, it was also one of the most expensive films to make, due to the fact the 3D technology he used was created from the ground up. Sony, LG, Samsung and Panasonic will be pleased that Cameron is still tub-thumping for 3D, as these are the main companies who have invested heavily in bringing 3D TVs to the market.